Log in to your Shopify Account and open this link. To install the Callexa app just click the green "Get" button. From now on you can access Callexa from your Shopify admin panel by clicking on the "Apps" entry in the sidebar. Note: Installing the Callexa app for Shopify is non-binding and free of charge. Give it a try and if you are not happy just uninstall it (but please leave us a note on why). When you log in to your fresh Callexa account you are prompted to create your first survey. Just define an internal name, which will not be visible to your customers, set the language and submit. Surveys can have different sources for recipients. You can manually add emails addresses, import CSV files, use Website Widgets and so on. You can also create several surveys for different purposes. 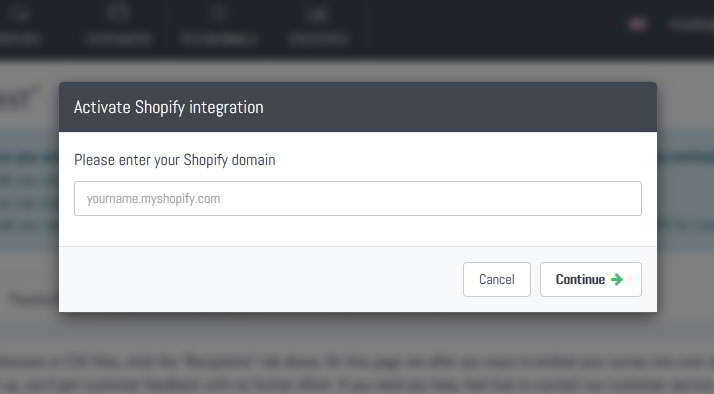 That is why the Shopify integration is not active by default. To activate it for the survey you just created, navigate to the "Integrations" tab, look for the Shopify card and click "Activate". All we need to know is your Shopify domain name and you will get redirected to authorize Callexa access to your customer and order data. 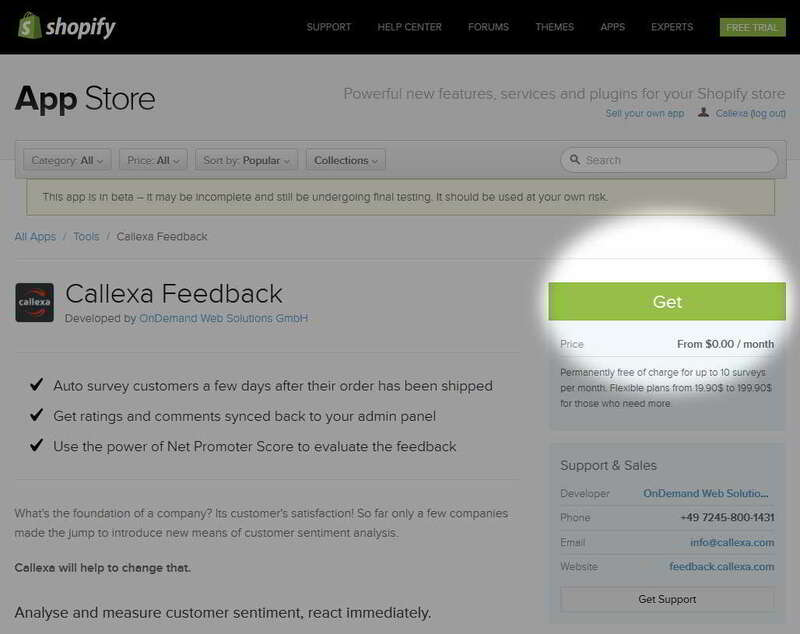 This redirection will be skipped if you have installed Callexa through the Shopify store as mentioned in Step 1. You are almost done. If activation was successful, you are prompted to specify a send delay. 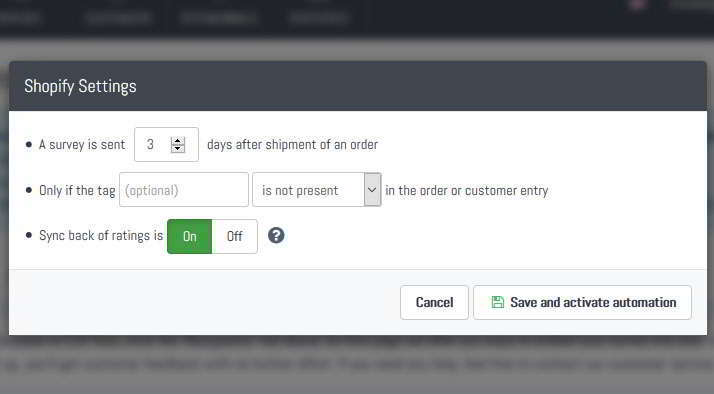 The customer is added to the recipients queue right after you've set an order to shipped. But in most cases you want to ask for your customer's opinion about the order process AND the shipped items. So use a reasonable delay considering your average delivery time plus a few days. 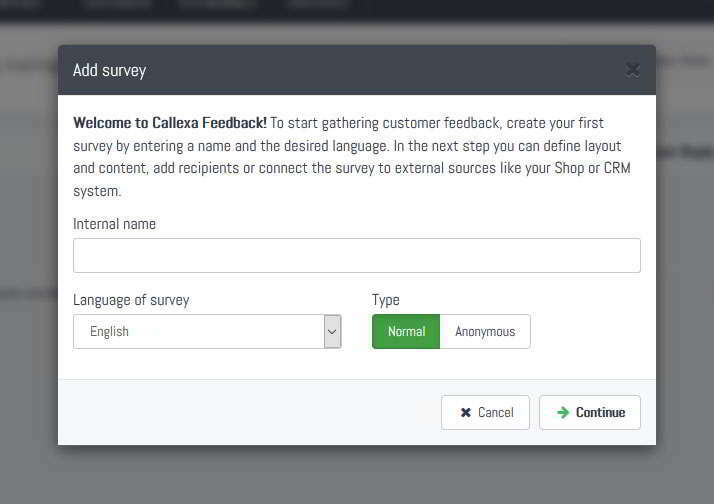 You can also define a tag that has to be present or should not be present in your Shopify customer or order entry in order to send a survey through Callexa. For example, if you do not want to survey all your Shopify customers after their order has been shipped, use a tag like e.g. "Survey" and set "is present". Now in the future add that tag to an order BEFORE setting it to the shipped state in Shopify. All orders not having this tag will be ignored by Callexa. Otherwise, you are all done. 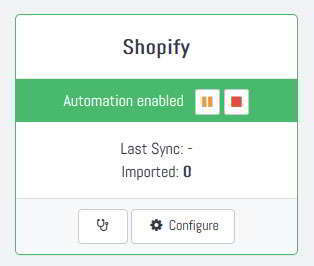 Just follow your usual routine at Shopify and wait for the first responses to come in.